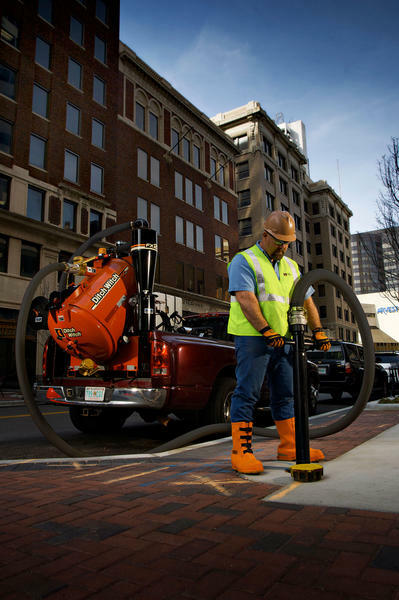 The FX20 vacuum excavator is ideal for a wide range of relatively small projects and multiple short runs per day, including municipal tasks such as valve box cleanout, storm drain cleanout, commercial and residential debris cleanup and landscaping, underground utility location, posthole digging, and construction site storm water control. 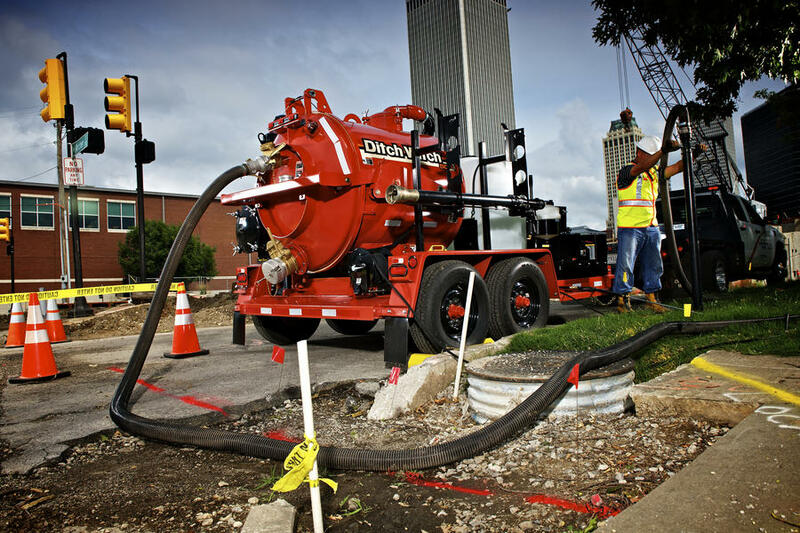 Offering a choice of options, the 27-hp FX20 vacuum excavator has the suction power of the larger FX30, yet it can be easily transported with a flatbed or pickup truck. 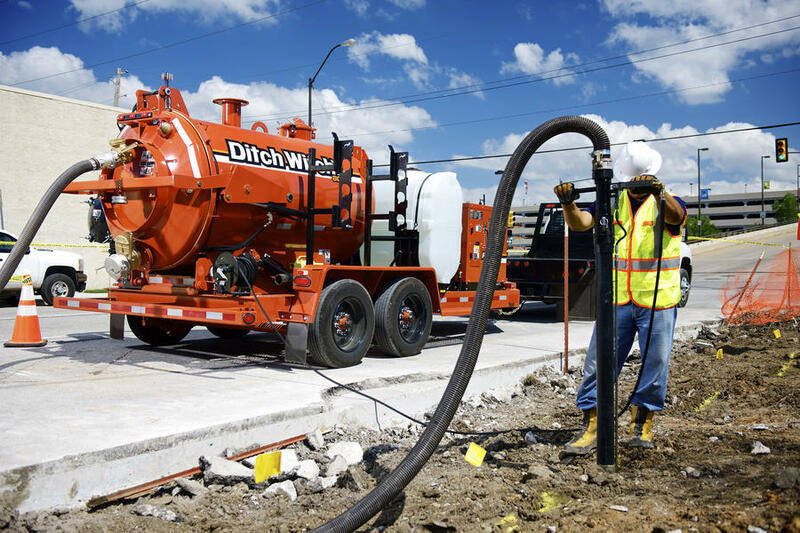 The skid-mounted FX20 vacuum excavator can fit in the back of a pickup truck, on a flatbed trailer or a specially designed Ditch Witch trailer; in many cases no CDL is required. 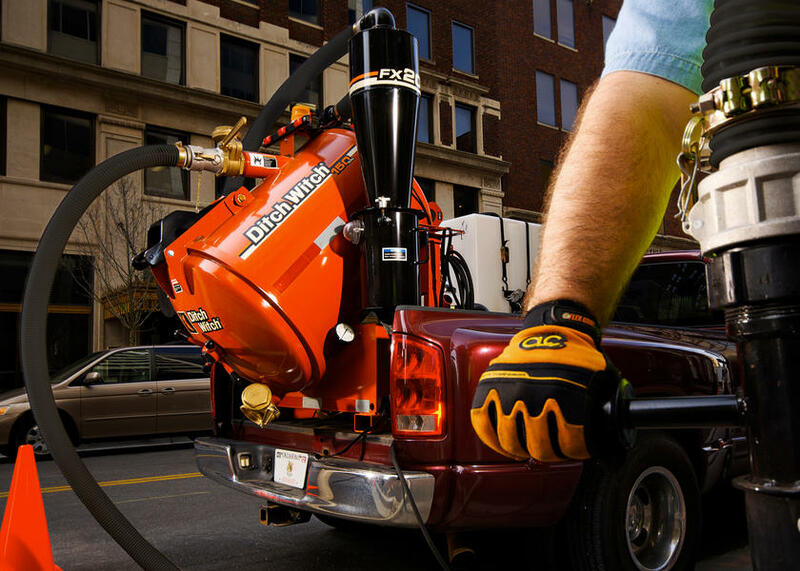 Outstanding suction power of 540 cfm in a compact, extremely durable package. 150-gallon spoils tank is mounted permanently at a 45° angle, making the dumping cycle quick and easy. 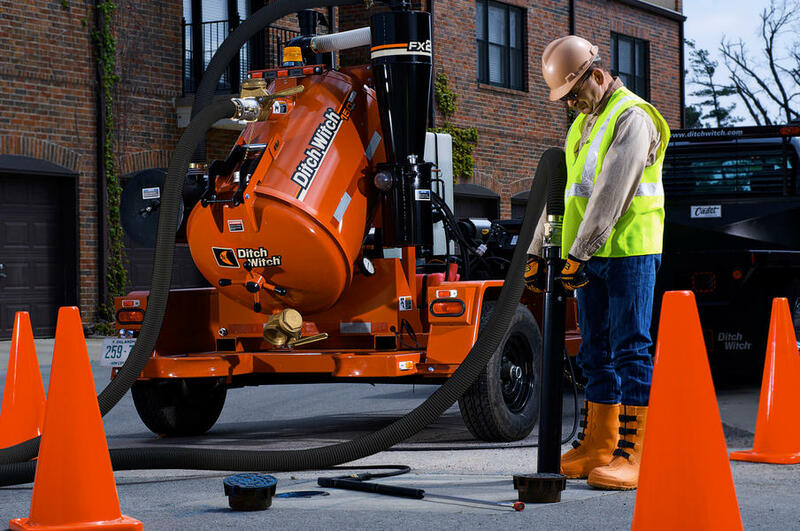 Belt-driven blower avoids the alignment issues associated with a direct-coupled blower, making the FX20 vacuum excavator more reliable and easier to maintain. The FX20’s exclusive non-contact water shutoff valve protects the water pump and eliminates the potential leaks of a float switch, which requires holes to be drilled in the side of the tank. Curbside operator’s console is designed to make controls easily accessible; for custom applications, the console can be positioned on the left side of the unit. The FX20 vacuum excavator is equipped with a Kohler gas engine that is renowned for its reliability and ease of maintenance.